Contrary to popular belief (and the majority of pictures you will find online), martial arts classes aren’t just for kids! While there are certainly benefits to kids martial arts classes as well, when it comes to Brazilian Jiu-Jitsu, Muay Thai, kickboxing, and the other variations of martial arts, there is a lot to be gained for adults — maybe even more than children. When it comes to achieving your fitness goals in the new year, for example, our martial arts classes in Santa Barbara at Gracie Barra can provide you with an incredible option for staying active, strengthening yourself, and joining an exciting community. The following are just a few of the potential reasons to consider joining a martial arts class, whether it be an advanced martial arts program or a basic fundamentals program. If you decide you want to give Brazilian Jiu-Jitsu (BJJ), Muay Thai, kickboxing, or another class a try, get a free initial class at Gracie Barra today! This reason should go without saying, but it’s never a waste of an adult’s time to learn some authentic techniques for defending yourself or your family. While we certainly hope you never find yourself in a position where you have to put these learned martial arts techniques to use against real danger, taking martial arts classes will undoubtedly help you be prepared for if the moment ever does arise. If your new year’s resolutions featured fitness goals included losing weight, getting more toned, or improving your agility, a martial arts class will certainly help you move in the right direction — in a fun and exciting way no less! As you learn Brazilian Jiu-Jitsu, Muay Thai, and other martial arts techniques, you’ll be pushing your body to new limits and certainly breaking a sweat along the way. While most adults think of martial arts classes as a stress reliever by allowing their kids to burn off their extra energy, you can experience even more stress relief from participating yourself! Do you ever get so tense and stressed out that you feel like breaking or kicking something? If so, you’re not alone, and you can redirect this built-up energy into a positive output with adult martial arts classes. If you don’t have a reason to experience relief from stress, then you must be some kind of superhuman. In adulthood, it can become increasingly difficult to find ways to meet new people with similar interests and outlooks. Outside of the physical benefits you can obtain from joining an adult’s martial arts class, you are joining a community of incredible people, especially at our martial arts gym in Santa Barbara. Martial arts classes bring together people of all walks of life who share similar aspirations and an appreciation for the sport, offering an incredible way to meet new people in your local area. It can even offer a great way to bond with your child when you both sign up for martial arts classes! 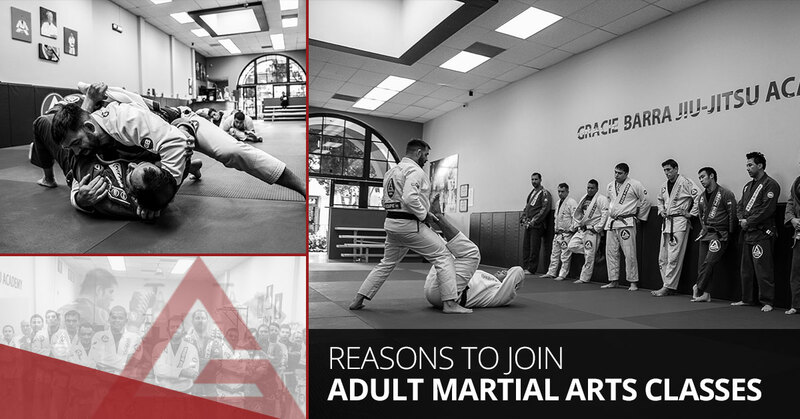 If you’re in the Santa Barbara area and are interested in learning martial arts and joining an incredible community, we invite you to view our schedule and sign up for an adult’s martial arts class today!